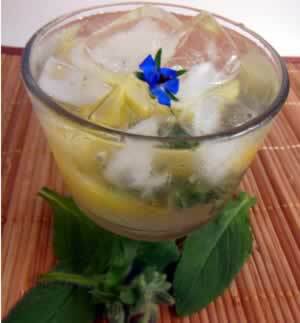 The fresh, cook cucumber taste of borage will surely boost your courage to face a hot summer afternoon. The deep blue flower garnish adds an elegant touch for company. Use the smallish, medium leaves from the top of the plant for the best flavor.